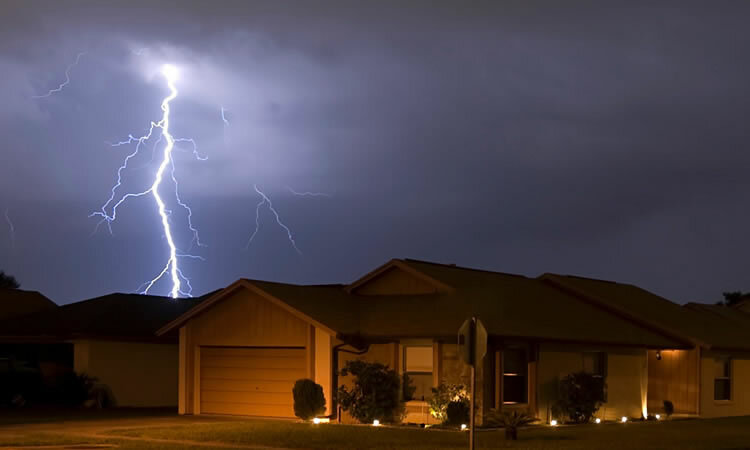 When a big storm hits, you rely on your home to protect you and your family. Once that storm passes; however, it’s time to identify any damages and protect your home from future damages. Your Roof: If you see holes, split seams or missing shingles get a qualified inspector out to take a look. Your exterior: Most types of siding are vulnerable to storm damage. You’ll want to look for cracking, dings or dents in the siding. Driveways and Walkways: Cracking and splitting can create safety hazards as well as reduce the lifespan of the concrete. Trees: Check roofs, vehicles, fences and machinery for fallen limbs that may have caused damage or pose a risk. Clean up what you safely can and relay on a reputable tree removal service to handle the rest. Depending on your circumstances, your homeowner’s policy may help with tree removal and damage repair costs. Keep tress well maintained. Also, notify neighbors if you see any overhanging branches on any of theirs. Know your insurance. Take a look at your policy so you know what’s covered, what your limits and deductibles are. This will prevent any surprises during the claims process. If you do end up in the unfortunate event of a loss, give your Agent a call to discuss the claims process so that you (and your home) can get put back together as quickly as possible.